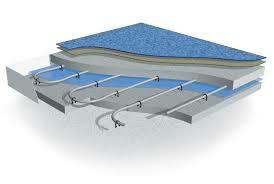 Maximise the potential of your renewable energy installation with Underfloor Heating. Miller Installations design, supply and install Underfloor Heating (UFH) throughout Norfolk. We have a vast amount of experience in installing UFH and work with a number of manufacturers so that we can cover just about any floor type there is, even retrofits! Although not a form of renewable energy, UFH maximises the potential of most renewables. Because UFH is designed to work at lower flow temperatures (around 35 degrees celcius) it means the heat source has to do a lot less work. 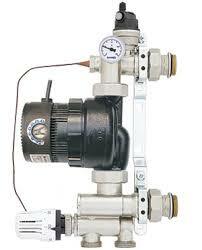 Heat sources like heat pumps work much more efficiently at these type of temperatures. Making them perfect partners for each other. UFH has been around for a long time but now with the uptake of renewable energy, people are really starting to see its benefits and potential. UFH is still a great option for boiler systems as the lower flow temperatures means the boiler is doing less work then it would with conventional radiators. Contact us on 01692 218040 or email us at info@millerinstallations.com or pop in to our showroom for free no-obligation advice, to view products or discuss your requirements.